Well that was just the start of it. 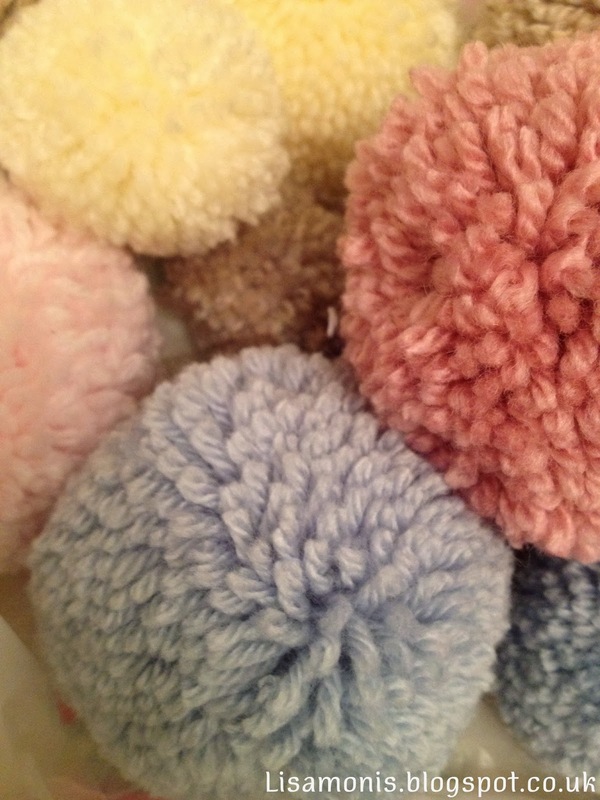 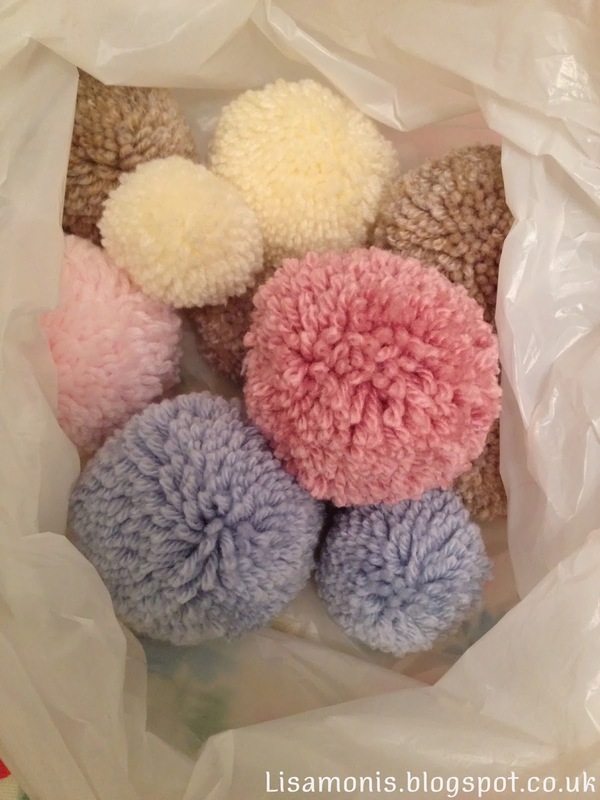 Since then, I've been a busy bee with my natty Clover pom pom device cooking up these little beauties. 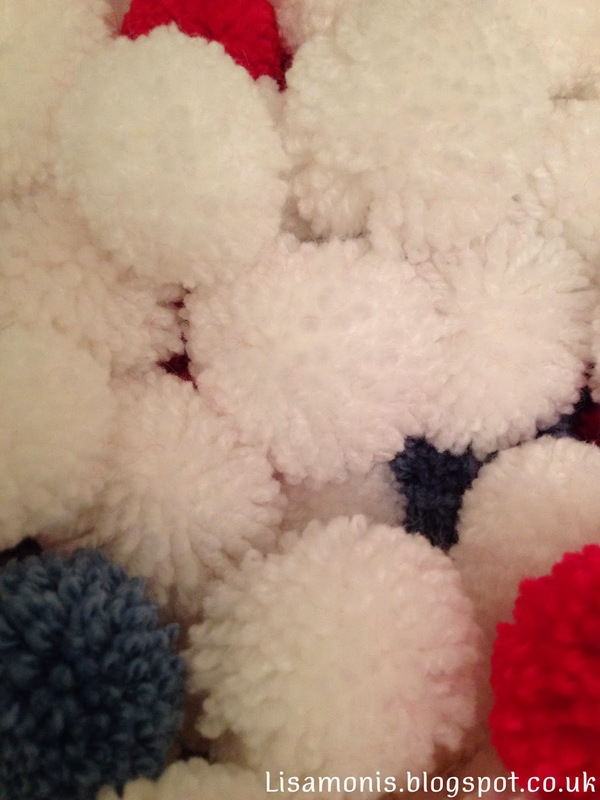 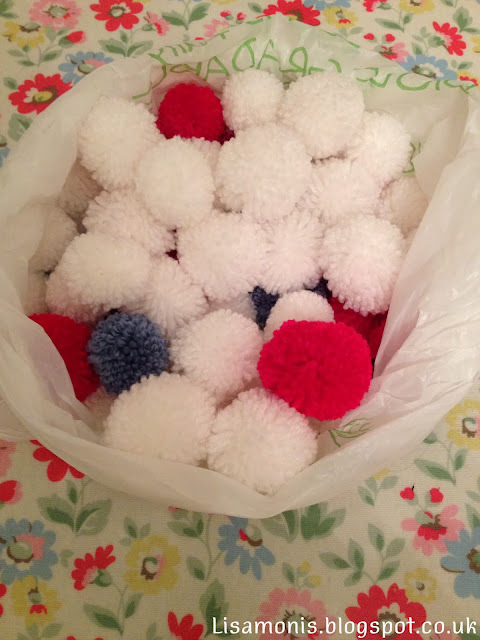 ....and these red and white ones are going to make lovely Christmas Pom Pom Garlands. You may have spotted some rogue blue ones who have snook into this bunch, well they are destined for a garland for my breakfast room at some point soon.